Docking consists in predicting the positioning of a ligand (small molecule) in its target protein. You can select both the ligand and the protein. 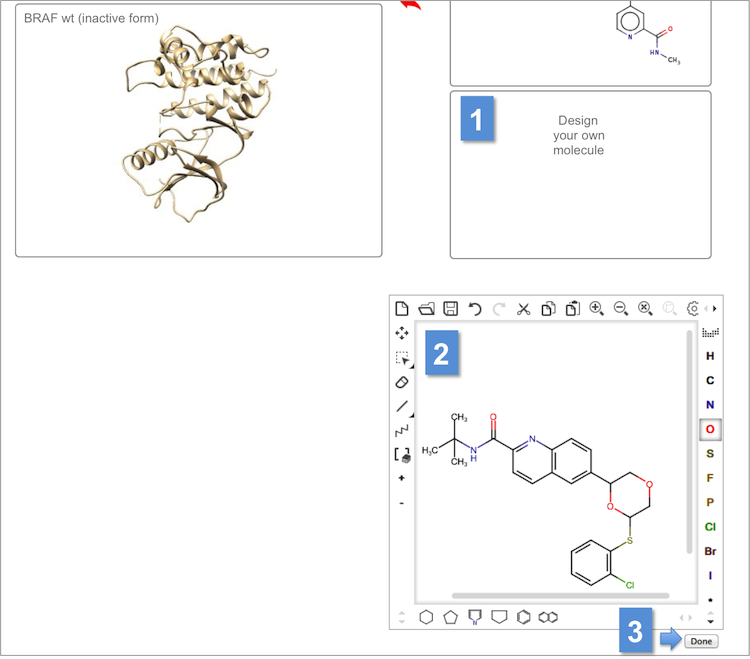 To do this, simply drag and drop the ligand's image onto the protein's image. You just need to drag and drop the image of the new ligand on the image of the desired target protein (4).